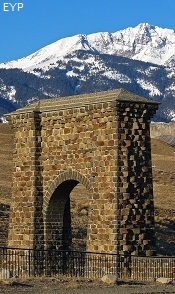 Gardiner is home to the world famous Roosevelt Arch. 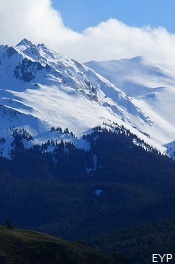 Electric Peak towers over Gardiner to the west. 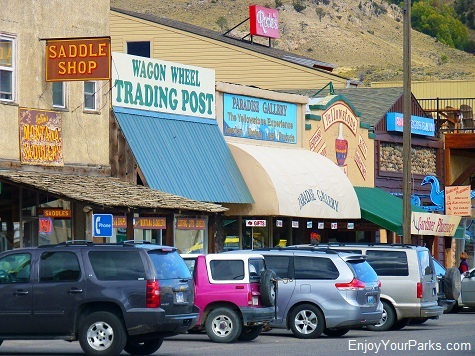 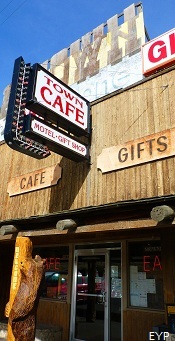 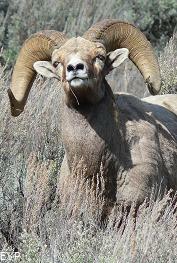 Gardiner, Montana is located at the North Entrance of Yellowstone Park, and is a national icon. 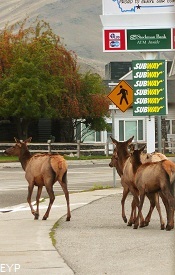 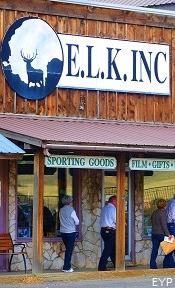 This small town is famous for it's resident elk herd that commonly uses the streets just as the locals do. 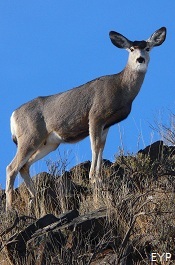 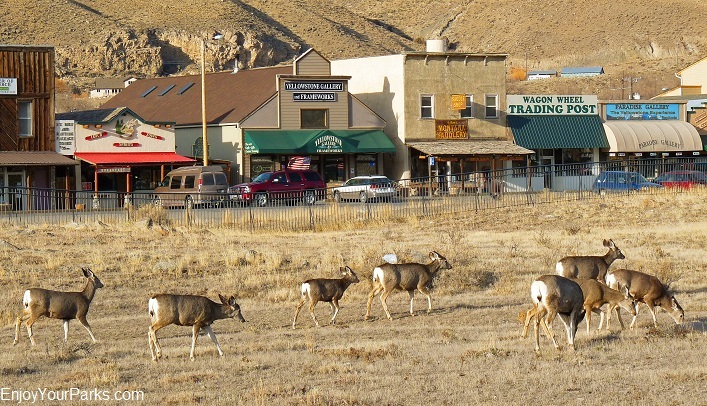 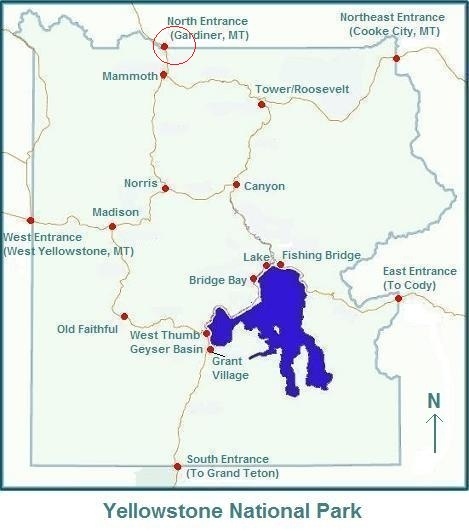 And Gardiner is also located along the path of the migrating elk, bighorn sheep and mule deer during the winter months, so you never know what you'll see wandering around the neighborhoods! 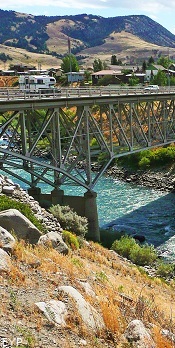 Gardiner is as much of a part of Yellowstone as the geysers, and it has been here since the beginning of the park in 1872. 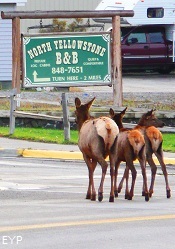 It was the main entrance to Yellowstone, and it officially became a town in 1880. 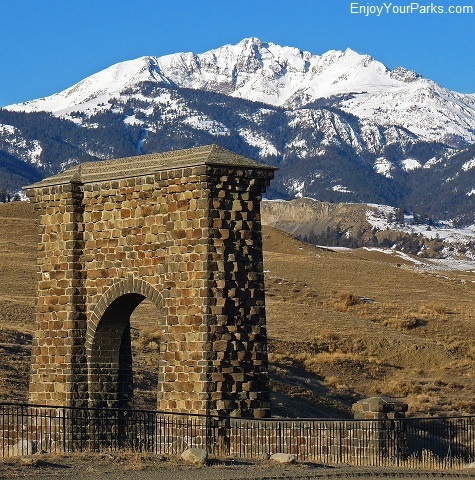 Being the main entrance to the park, this historic town is home to the Roosevelt Arch, which proudly stands and welcomes visitors into Yellowstone National Park. 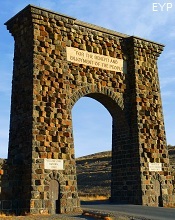 This world-renowned arch was dedicated in1903 by President Theodore Roosevelt, where he stated that Yellowstone was created "For the Benefit and Enjoyment of the People". 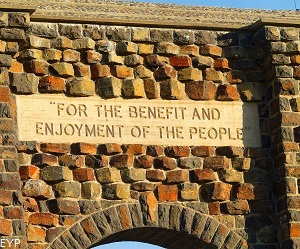 These ageless words are chiselled into the arch for posterity. 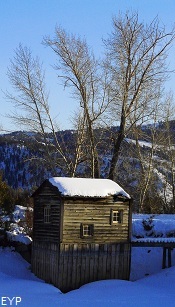 The new Yellowstone Heritage and Research Center, which contains much of the items that have historical significance with regard to the park, is also located in Gardiner. 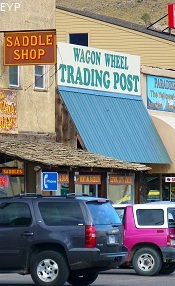 So if you're into history, you should really check it out! 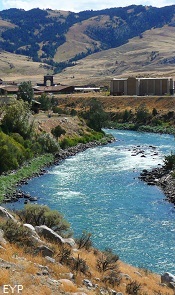 And the Yellowstone River runs right through the middle of Gardiner, and is a very popular place to start your white-water rafting adventures. 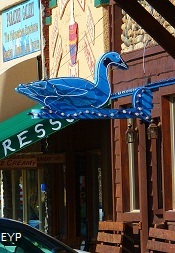 The best time to go is during the peak run-off in June. 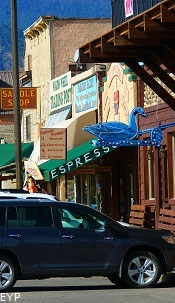 famous little town, and we are confident you will too! 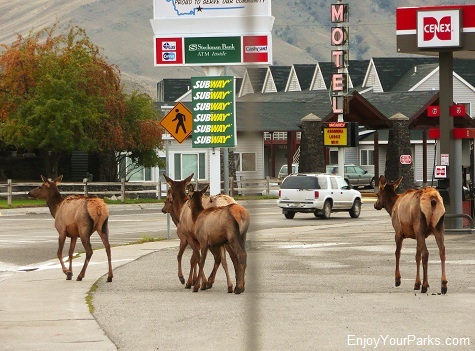 Elk walking down the main street of Gardiner, Montana. 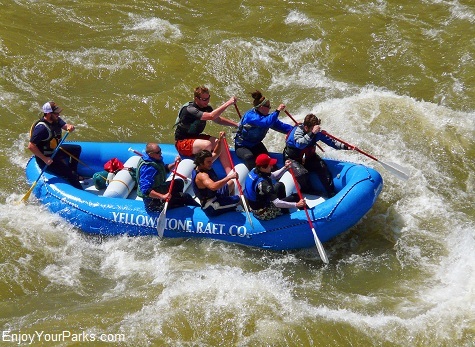 Whitewater Rafters on the Yellowstone River near Gardiner, Montana. 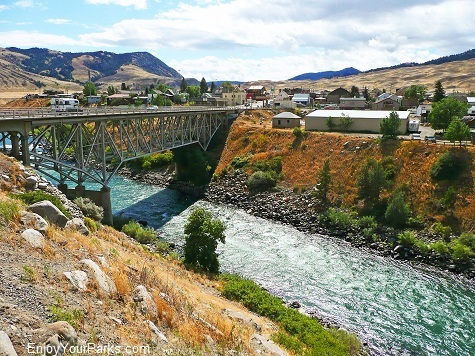 The Yellowstone River runs directly through Gardiner, Montana. 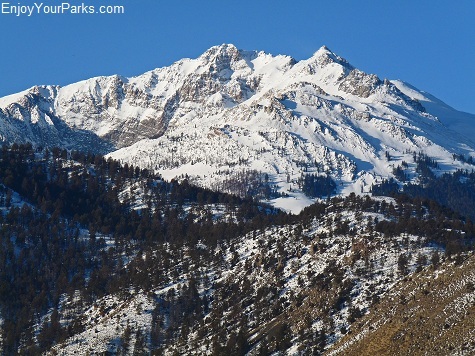 Electric Peak towers above Gardiner, Montana.